Hello! I hope everyones having a lovely Easter weekend! 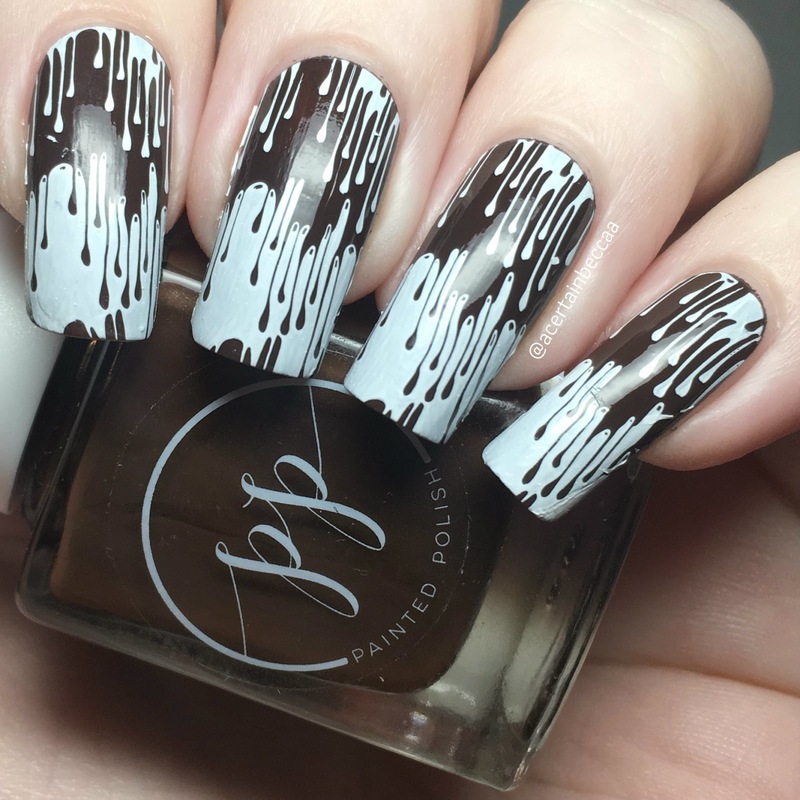 Today I have some quick chocolate inspired nails to share with you. 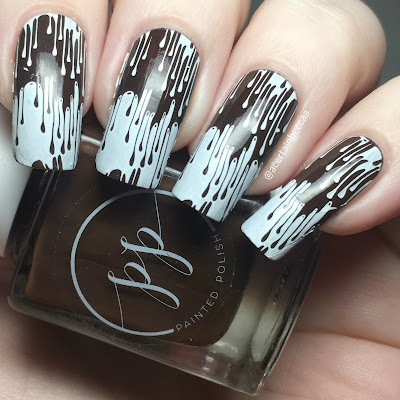 I was originally planning on going for a marbled chocolate look, but the stamping pattern I chose looks more like melting or dripping chocolate - so that's what I ended up with! Read on for more info! 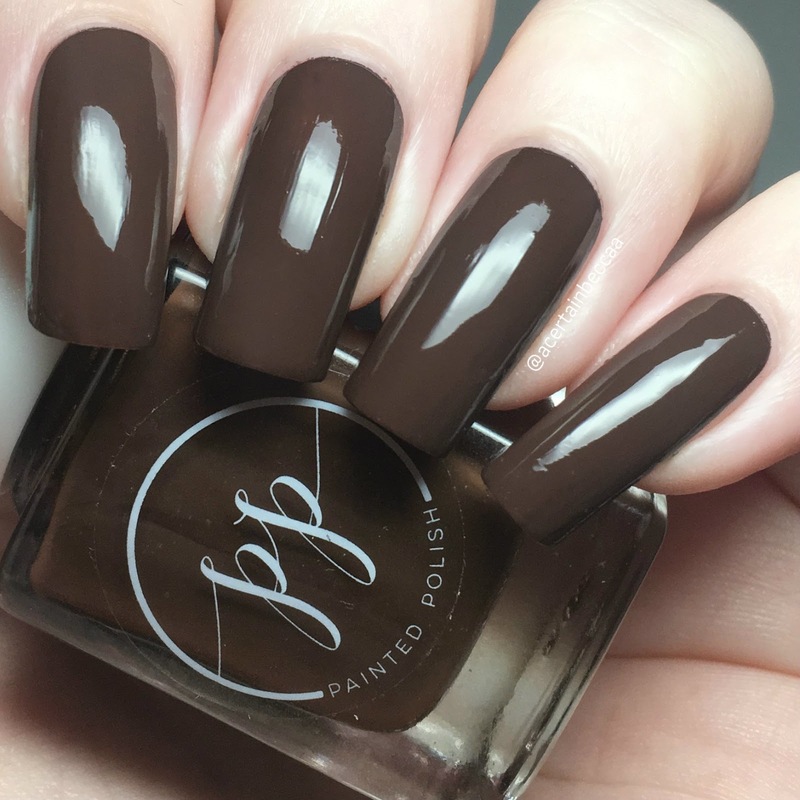 I started off with a base of Painted Polish 'Stamped in Chocolate', the perfect chocolate brown creme. 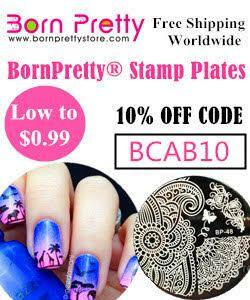 The formula is super smooth and easy to apply, and like most of Lexi's cremes, is an easy one coater. Below is just one coat with topcoat. I then stamped the dripping pattern from Creative Shop plate 26. I used Hit the Bottle 'Snowed In', intending the white to look like white chocolate. What do you think? Do they look like chocolate to you? I think they do! I don't think you can go wrong using a polish with chocolate in the name - especially for Easter nails. I'll most likely have these on all weekend while I'm sat munching chocolate eggs.